1. Davey C.A., Sargent D.F., Luger K., Maeder A.W., Richmond T.J. Solvent mediated interactions in the structure of the nucleosome core particle at 1.9 angstrom resolution // J. Mol. Biol. 2002. Vol. 319. N 5. P. 1097–1113. 2. Vasudevan D., Chua E.Y.D., Davey C.A. Crystal structures of nucleosome core particles containing the ‘601’ strong positioning sequence // J. Mol. Biol. 2010. Vol. 403. N 1. P. 1–10. 3. Thiriet C., Hayes J.J. Replication-independent core histone dynamics at transcriptionally active loci in vivo // Gene Dev. 2005. Vol. 19. N 6. P. 677–682. 4. Studitsky V.M., Clark D.J., Felsenfeld G. Overcoming a nucleosomal barrier to transcription // Cell. 1995. Vol. 83. N 1. P. 19–27. 5. Andrews A.J., Luger K. A coupled equilibrium approach to study nucleosome thermodynamics // Methods Enzymol. 2011. Vol. 488. P. 265–85. 6. Banks D.D., Gloss L.M. Equilibrium folding of the core histones: The h3-h4 tetramer is less stable than the h2a-h2b dimer // Biochemistry. 2003. Vol. 42. N 22. P. 6827–39. 7. Davey C.A., Richmond T.J. DNA-dependent divalent cation binding in the nucleosome core particle // Proc. Natl. Acad. Sci. USA. 2002. Vol. 99. N 17. P. 11169–11174. 8. Lindorff-Larsen K., Piana S., Palmo K., Maragakis P., Klepeis J.L., Dror R.O., Shaw D.E. Improved side-chain torsion potentials for the amber ff99sb protein force field // Proteins. 2010. Vol. 78. N 8. P. 1950–1958. 9. Pronk S., Pall S., Schulz R., Larsson P., Bjelkmar P., Apostolov R., Shirts M.R., Smith J.C., Kasson P.M., van der Spoel D., Hess B., Lindahl E. Gromacs 4.5: A high-throughput and highly parallel open source molecular simulation toolkit // Bioinformatics. 2013. Vol. 29. N 7. P. 845–854. 10. Humphrey W., Dalke A., Schulten K. Vmd: Visual molecular dynamics // J. Mol. Graph. Model. 1996. Vol. 14. N 1. P. 33–38. 11. Aksimentiev A., Schulten K. Imaging alpha-hemolysin with molecular dynamics: Ionic conductance, osmotic permeability, and the electrostatic potential map // Biophys. J. 2005. Vol. 88. N. 6. P. 3745–3761. 12. 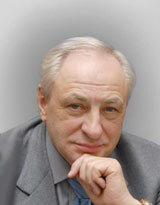 Savelyev A., Papoian G.A. Electrostatic, steric, and hydration interactions favor Na(+) condensation around DNA compared with K(+) // J. Am. Chem. Soc. 2006. Vol. 128. N 45. P. 14506–14518. 13. Sadovnichy V., Tikhonravov A., Voevodin V., Opanasenko V. “Lomonosov”: Supercomputing at Moscow State University // Contemporary high performance сomputing: from petascale toward exascale / Ed. by S.V. Jeffery. Boca Raton: CRC Press, 2013. P. 283–307. Армеев Г.А., Шайтан К.В., Шайтан А.К. ИССЛЕДОВАНИЕ ИОННОГО ОКРУЖЕНИЯ И ЭЛЕКТРИЧЕСКИХ ХАРАКТЕРИСТИК НУКЛЕОСОМ МЕТОДОМ МОЛЕКУЛЯРНОЙ ДИНАМИКИ. Вестник Московского университета. Серия 16. Биология. 2015;(4):24-28.